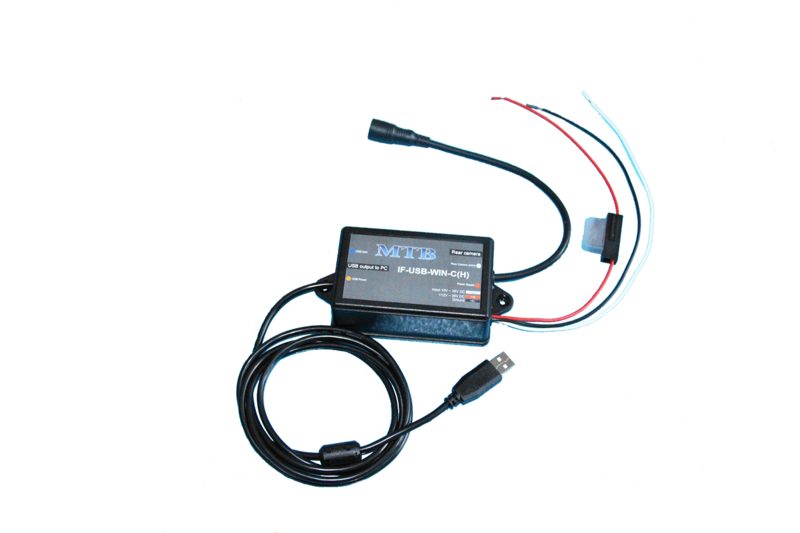 MTB-IF-USB-WIN-C(H) is a Windows 7,8,10 compatible interface to connect a rear view camera to an on board pc with trigger function. When trigger is activated by signal from reverse gear the camera image appears in full screen mode automaticly on the pc monitor. When deactivated the pc returns to last running program.